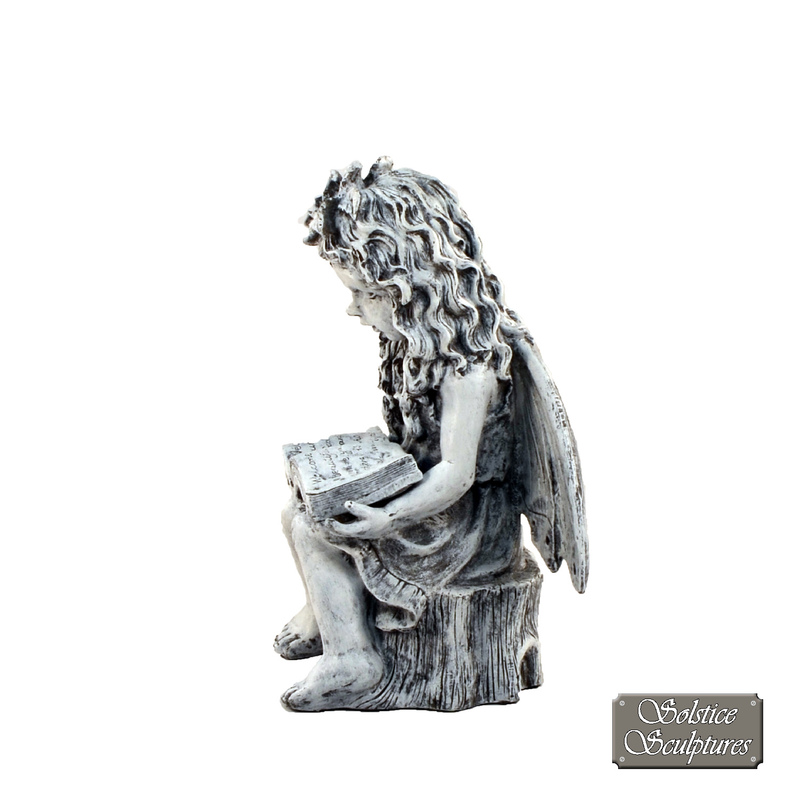 A charming depiction of an angel sat upon a tree stump intently reading from a book, manufactured from poly stone with a weathered appearance. 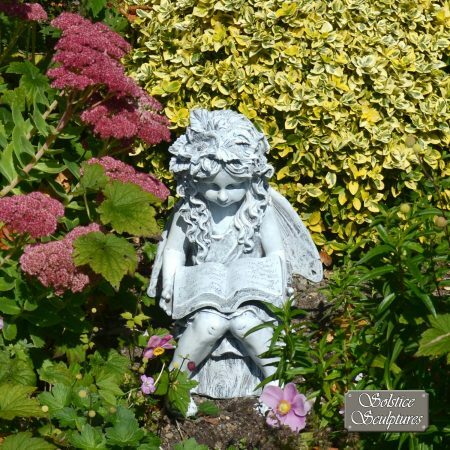 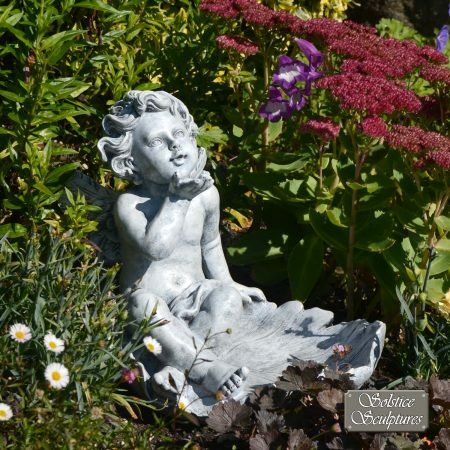 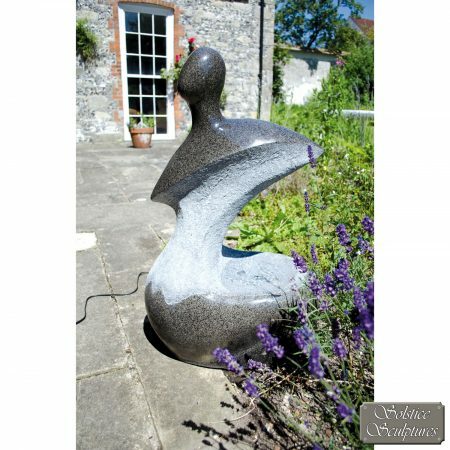 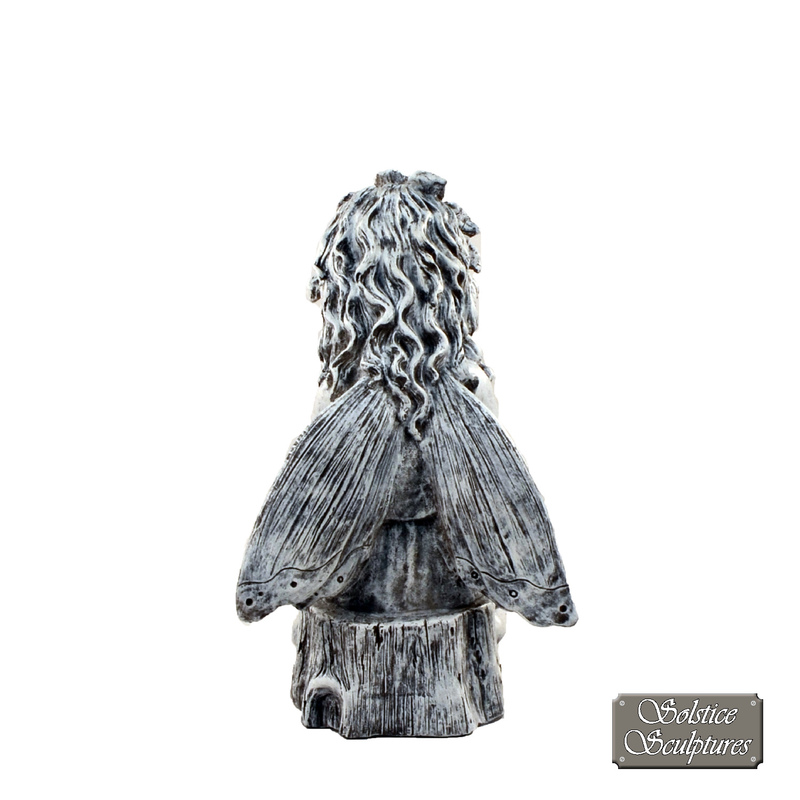 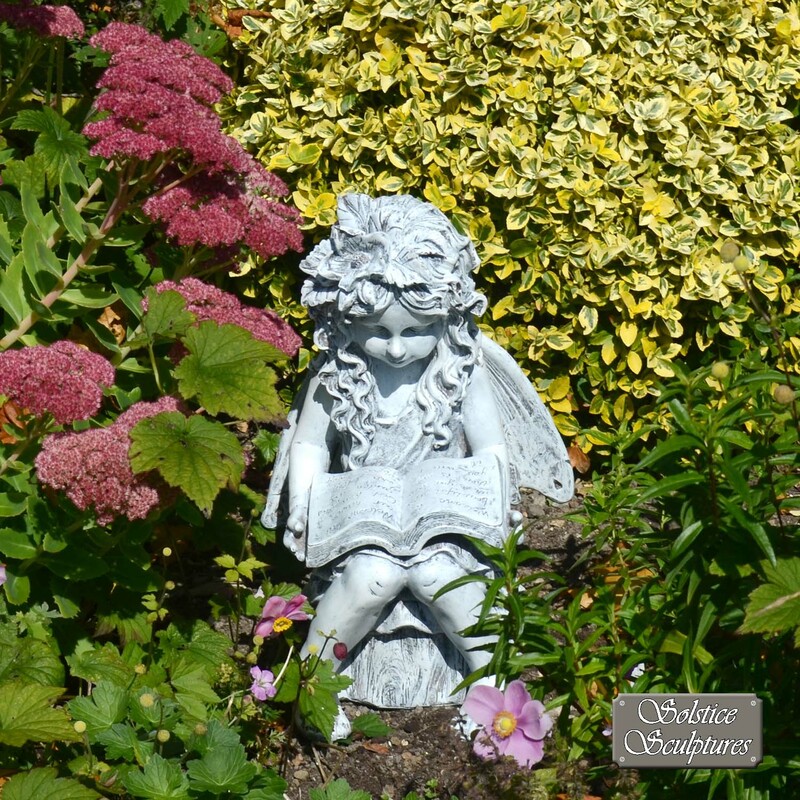 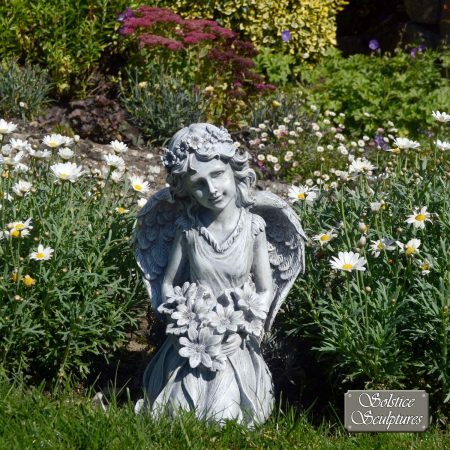 This statue is perfectly at home nestled among a flowerbed and would be a lovely gift. 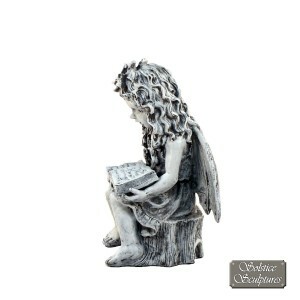 This Angel is 46cm tall, 29cm wide and 23cm deep. 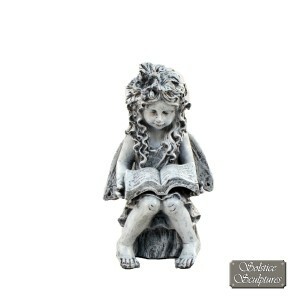 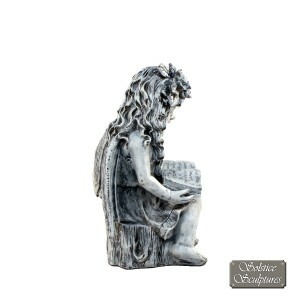 A charming depiction of an angel reading, manufactured from poly resin with a weathered appearance.